If someone mentioned Bilbao 30 years ago, the reaction might have drawn a blank stare or "Bill who?" But since the arrival and huge success of the Guggenheim Museum Bilbao, the mere mention of the city will elicit strong reactions and lots of animated discussion about architect Frank Gehry's magnificent piece of sculpture, the museum's mostly contemporary art collection and its winsome riverside setting. While the museum is extraordinary, there is much more to Bilbao than this single draw. 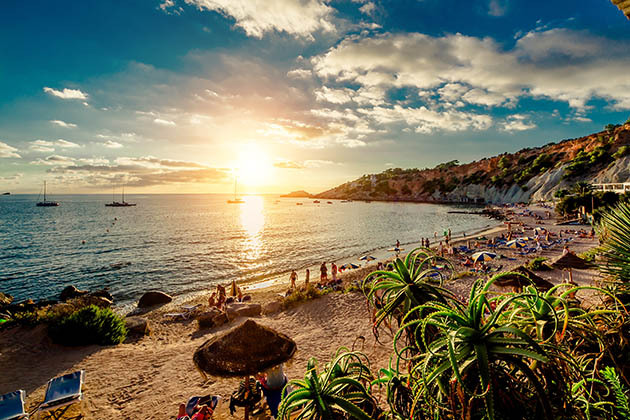 The city, Spain's fifth-largest, will delight visitors with its charming Old Quarter, lively restaurants and tapas bars, excellent shopping, and the outstanding architecture that dominates the modern city center. 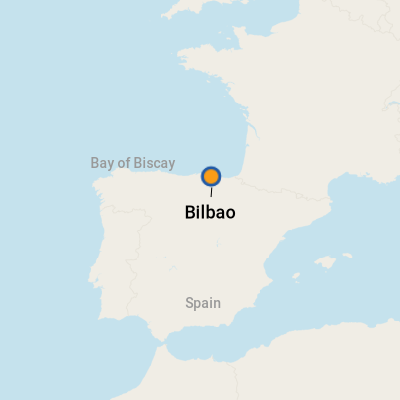 Bilbao was once a powerhouse of industry, based on mining iron ore, steel manufacturing, shipbuilding and ship repair, banking, insurance, and overseas trade. In the late 19th and early 20th centuries, the city's wealth gave rise to a most handsome new city across the Nervion River, called The Ensanche (or Extension). The new development featured the construction of wide boulevards, expansive plazas and a whole host of architecturally significant buildings. Yet, in the 1980's and the years that followed, most of the city's economic base slipped away due to cheaper production in emerging countries and the outfall from joining the EU. Only now are the city's fortunes finally returning. Enter Guggenheim Bilbao, which provided the initial stimulus for resuscitating a moribund post-industrial port city into a vibrant urban center that is most assuredly worth more than the one day most people give it. The huge increase in visitors from all over the world has encouraged a revival of retail shopping along the smartened-up Gran Via; the creation of additional office spaces, including Cesar Pelli's elliptical Torre Iberdrola (2011); the rehabilitation of a monumental former wine warehouse into a handsome leisure, arts and shopping center (Alhondiga); and the rise of a bustling street life in the Casco Viejo, the Old Quarter. It's there that you will find what travelers say are some of the best tapas bars and traditional restaurants in Spain, set in a rabbit warren of medieval pedestrian lanes overlooked by stylish residential buildings with lively, patterned facades. The city's museums and its Old Quarter are now linked by a linear park and pathway that parallels a revived riverfront. Several architecturally intriguing bridges give access to the river's north side and to the funicular to the top of Mount Artxanda for a view of the city and its hilly surroundings. If you prefer not to take a ship's shore excursion, it's easy to explore Bilbao on your own. Once in the center, most everything is walkable, while a useful tram line links the museums along the riverfront to Casco Viejo. Cruise ships dock in Getxo or the commercial port of Santurtzi, located on opposite sides of the Ria de Bilbao (also called the Nervion) from each other. Both are about 10 kilometers (just more than six miles) from the city center. There is also a cruise terminal on the Getxo side. There is little reason to linger in Santurtzi, the container port and terminal for ferries to/from England, though basic services are available there, including ATM's, tourist information and a few souvenir shops. The new terminal will also have basic services for visitors, while the immediate neighborhood, Getxo, is an affluent suburb with a large marina and popular beaches. Basque and Spanish Language street signs are often both in use, so you may think you are in the right place on your map, only to find that the sign is in Basque, rather than Spanish. Keep looking, and you'll often find a translation nearby. Pickpockets are a problem, though no more so than in most European cities. Most cruise lines will provide a shuttle into Bilbao, usually to the plaza in front of the opera house at the edge of the old city center. Some lines charge for this service. The independent-minded can walk to the Bilbao Metro at Neguri Station (Line 1) in Getxo. In addition, Bilbobus routes 3411 and 3413 operate into Bilbao center from Getxo. Both stops are 10 to 15 minutes' walk from the ship. Nearly all the city center's principal sights are within walking distance. Local transit includes the metro, Bilbobus (city bus) and EuskoTran (city tram). Creditrans is a reduced-fare debit card that can be purchased at transit stops for 5, 10 or 15 euro and can be topped up after the initial purchase. The BilbaoCard day pass provides low fares as well as discounts to museums, shops, attractions and some restaurants. The most useful transit line runs along the Nervion River, parallel to the river walk, with stops at Teatro Arriaga (opera house) and the Guggenheim Museum. Walking from the opera house to the Guggenheim will take about 25 minutes. Taxis are available at the port and within the city. The green light atop the cab indicates it is available. Renting a car is not recommended, as the hilly topography makes driving very confusing. The official currency is the euro; for the current exchange rate, visit oanda.com or xe.com. ATM's abound throughout the city. Many have an English-language option; look for the British flag. Not all the push-button steps may be translated into English, though generally most automatic tellers use the same system. You'll want some euros for small purchases, such as tapas, drinks and transit fare. Spanish and Basque are the principal tongues, and most Basques also speak Spanish. English is widely understood, except at some restaurants and tapas or pinchos (pintxos in Basque) bars. Ask for an English menu along with the Spanish version to build up your vocabulary. Bilbao in Spanish becomes Bilbo or affectionately Botxo (referring to the hole in which the city sits surrounded by high hills). International visitors generally agree that Bilbao and neighboring San Sebastian offer some of the best food in Spain, especially if you are a seafood-lover. Try mussels in a tomato and anchovy sauce, squid cooked in its own ink (the first sight of the black goo takes a bit of getting used to), and salted cod with mushrooms in a garlic sauce or lemon and parsley. Another favorite is thinly sliced Jamon (ham) Iberico; it comes from local pigs that carry more fat. Hence, it can be cured longer to give a more intense flavor. Most restaurants will have multilanguage menus posted outside with prices. Lunch hours are generally noon to 3 p.m. No reservations are needed. In the Casco Viejo (Old Quarter), one block in from the Teatro Arriaga, Berton -- at Calle Jardines, 11, with a second branch across the street -- is the place for pintxos (a kind of Basque tapas), with the tasty selections lined up on the bar. Choose what you want, no language translation needed, and add a glass of Rioja (txakoli) wine -- blanco (white), tinto (red) or rosado (rose). The selections will include croquettes stuffed with squid, smoked and thin-sliced ham, eggplant or sardines, anchovies, and eggplant, or stuffed egg and ham on sliced, toasted bread. It may be quite crowded during peak lunchtime hours. Amboto, Calle Jardines, 2, has a bustling tapas bar on the street level and a handsome, wood-paneled restaurant upstairs away from the fray. Order a la carte, or choose from a set menu at a moderate price that includes an appetizer, main course, dessert, bread, water, wine and taxes. Tasty starters are a thick fish soup, king prawns, and mushroom pudding, as well as Iberian sirloin with blue cheese, peppers stuffed with crab, and hake (merluza, a fish) in a sauce made from crabs. Finish up with a puff pastry stuffed with cream and chocolate, or orange juice with ice cream and liqueur. The Bistro at the Guggenheim Museum has tables with river views, and it makes an easy and convenient choice when visiting the galleries. Try the seafood soup with squid, hake and mussels; stewed baby squid in a creamy rice; or boned cow's tail, toasted with caramelized onions and its juice. Finish off with a fluid chocolate souffle with frozen cream. Spain is noted for its leather products (clothing, handbags, etc.) in varied shades like brown, rust red, orange and blue. Particularly attractive are bags with wicker detailing. El Corte Ingles (Gran Via Pasteleria, 7-9), the principal department store, is a convenient place to peruse the variety of leather goods and fashion items. Calzados Ayestaran (Gran Via, 27) sells good quality shoes and leather clothing. Loewe (Gran Via, 39) has smart and more expensive shoes, clothing and accessories.